During the Lenten Season a small group has been working through the Epistle to the Romans. The theme was “Hope”. Where are we if we don’t have hope? From Easter comes our hope for the future. Those participating in the series have found it helpful to them as we have reflected on our journey. Sharing the leadership has been helpful in spreading the workload. I am so grateful to the many people who helped with the worship and attended the worship services over the Lent and Easter Seasons. I really appreciated the variety in the prayers, music, drama and visual displays which enhanced our reflecting and our experiencing of the significance of this very special season in the life of Christ and of our church calendar. Thanks to everyone involved. The 16 services over Holy Week sounded daunting but with the variety and significance of these it was very manageable. One that was quite different for us and that was much appreciated was the Franklin Community Choir sharing hymns, readings and reflections before concluding with Handel’s Hallelujah Chorus. As we consider the beauty of creation we must remember to give thanks for God’s goodness in all of creation. We are about to celebrate Earth Day on Sunday April 22 with a char fire next to St Paul’s Church in Buckland. This will be followed by sharing some barbecued sausages and having some fun time together. This will hopefully remind us that creation is there for all of us to treasure. We must all take some responsibility in caring for our environment if future generations are going to have the pleasures that we enjoy in nature today. It is great to see some of the developments that are happening at the moment, with considerable research being done in the ways we can reduce waste. There are so many issues for us to deal with if we are to have a real impact on world peace, climate change and the preservation of our resources. Thank you John for helping to keep us informed and helping to continually remind us of the extent to which we need to respond. Vicky Mee will also be reminding us of our need to support initiatives that address issues related to social justice. She will be reminding of us how fortunate we are here in New Zealand to have so much freedom, but with privileges we do have responsibilities. You will hear more from Vicky later in the Messenger. Our archdeacon, the Venerable Michael Berry, will be at the 8am service on Sunday May 20, Pentecost Sunday, to preach and celebrate and he will stay on for our intergenerational service at 9.30. That evening at 7pm we will share in a contemplative-style service at St Patrick’s Catholic Church. Ann is already preparing the display. After the 9.30am service on May 20 we will have a time of sharing. Please bring a game, activity or some memento from the country of one of your ancestors. We will share about these but also you are invited to wear any item of dress that reflects your heritage. It would be great if people could bring a plate of food to share that reflects your heritage. Please do come along, join us and share in our fun. Sunday April 22 ~ World Earth Day Char Fire event and BBQ at the Buckland Church. Bring along your block of wood between 9.30 and 11am. There will be activities and a BBQ from 11am. Sunday April 29 ~ Vicky Mee will give a presentation about her trip to Egypt. This will be at about 11.15am after the 9.30 service and will conclude with a shared lunch. Saturday May 12 ~ Please join for an evening of fun with a shared meal at 6.30pm followed by a trip to the Harrington Theatre to see Social Climbers at 8pm. The Ven. Michael Berry will be present and will preach at 8am. He will join with us for the 9.30am service which will be followed by a shared lunch, memorabilia, games etc. At 7pm we will join with the people at St Patrick’s Catholic Church for a contemplative service. We are again working with the Middlemore Foundation and the community to provide a pair of new pyjamas for children in our community who the schools identify as being high needs. Any donations towards this collection will be much appreciated. Sunday April 29, 11am, Vicky Mee is sharing her experience in visiting Egypt, followed by a shared lunch. Wednesday May 2, 10am. Meet in the church. All welcome. The surveying company is preparing a resource consent application to the Auckland Council for approval to shift the St Paul’s Church building from its present site to a new site beside the Buckland Community Hall. A heritage impact assessment is required to accompany the application and Vestry has appointed The Heritage Studio of Waiheke Island to do this work. The Centennial History of St Paul’s, which was written in 2000, will be very helpful in preparing this. A building consent application is also required. There has been considerable damage to the trees on the church property with the recent strong winds we have experienced. This is causing concern to the Vestry. The pruning of the oak trees has been insufficient to remove all the rotten wood in the trees. The liquid amber tree on the vicarage lawn has experienced most damage. All trees on the property are now included in the heritage overlay and are therefore considered to be protected. We are still in the process of seeking advice and are almost ready to proceed with an application to remove the beech tree. We have needed to get arborists’ and engineering reports to proceed. Vestry has written to the council suggesting it will need to take responsibility for any damage caused by falling branches and debris. This is the first step in working towards exploring what will be required for the earthquake strengthening. We have received a general email indicating that reports will be received but there has been no indication of how long this will take to complete. The future of the Earth as we know it is under threat. Scientists name that threat global warning. We already see some of the impacts of global warming: climate change, extreme weather events, the loss of animal and plant species, rising sea levels, and the acidification of our oceans. The main drivers of global warming are twofold. First, mining and burning fossil fuels adds greenhouse gases to the atmosphere. Second, when we cut down forests, we reduce the Earth’s ability to tolerate those gases. To reduce the impacts of climate change, two things we must do. One is to significantly reduce our individual and household greenhouse gas emissions. The other is to remove carbon from the atmosphere. The longer we take to do these two things, the harder is the task of ensuring a liveable climate for future generations. EARTH DAY 2018 is the day to show that we cherish our Earth, the day to take a personal climate change action to help ensure the Earth’s regeneration and protection for future generations. On this day (Sunday April 22), the Anglican Climate Action Network is offering an easy-do climate action that anyone can take.  The Pukekohe Anglican Parish is holding its second Charcoal Fire event, this year in the grounds of St Paul’s Anglican Church in Buckland Rd, Pukekohe. For each person attending, a 1kg wood block will be burned to make biochar which will be buried in the soil and fruit trees planted on top. This will: reduce greenhouse emissions by avoiding the release of carbon to the atmosphere as the wood decays; sequester 1kg of carbon dioxide; remove even more carbon from the atmosphere over the fruit trees’ lifetime. Join us between 9am and 11am to place a 1kg block of wood on the fire and learn about biochar. Or join us at 11.30am for a sausage sizzle before the fire is quenched at 12.30 followed by the planting of fruit trees on the biochar. Park at Buckland School — 72 George Crescent, Buckland. A gold coin donation on entry will help us continue our sustainability work. Can you help at the World Earth Day event on Sunday April 22 at St Paul’s, Buckland? These are the areas in which assistance is needed. Call John Allen on 09-238 1357 or 021-463 686 if you can help at any time on the day.